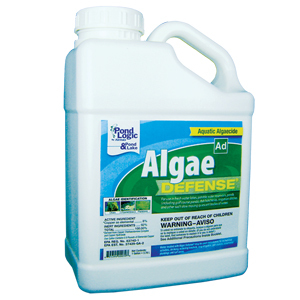 Algae Defense is fast-acting and works on a broad spectrum of algae. Begin applications early in the spring when water and temperature reaches 60° F and above. Early applications will reduce the amount of Algae Defense needed and reduce the amount of excess nutrients caused by dead algae. Unless steps are taken to reduce the overall nutrients in your pond, multiple applications may be needed for a full season of control. Algae Defense successfully controls diverse algae types including branched, filamentous, and planktonic species. To obtain optimal control, apply Algae Defense in accordance with label directions at the first appearance of algae bloom. Begin applications early in the spring when water and temperature reaches 60° F and above. Early applications will reduce the amount of Algae Defense needed and reduce the amount of excess nutrients caused by dead algae. To View Label: "CLICK HERE"
Get better results by mixing with Cide-Kick Chemical Enhancer. Cide-Kick is used to enhance the effects of other liquid chemicals. To effectivey treat weeds and algae, two things must happen. 1st - The water tension has to be broken down to allow the chemical to penetrate the water in the appropriate spot. 2nd - The cuticle fo the weed has to be penetrated for the chemical to be absorbed. Application: If your pond is not equipped with an aeration system, treat your pond in thirds, waiting 10 - 12 days between treatments to insure safe oxygen levels. Mix 1 gallon Algae Defense with 10 gallons of tap water and spray directly on the pond's surface where weeds are present. 1 gallon treats 8,000 square feet. From JDH of Millersport, Ohio on 8/13/2013 . 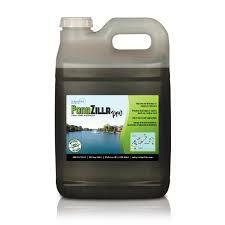 4/9/2012 – I have a small pond about 500 gallons.How much Algae defense should I put in it?